I was very inspired by our meeting this week. 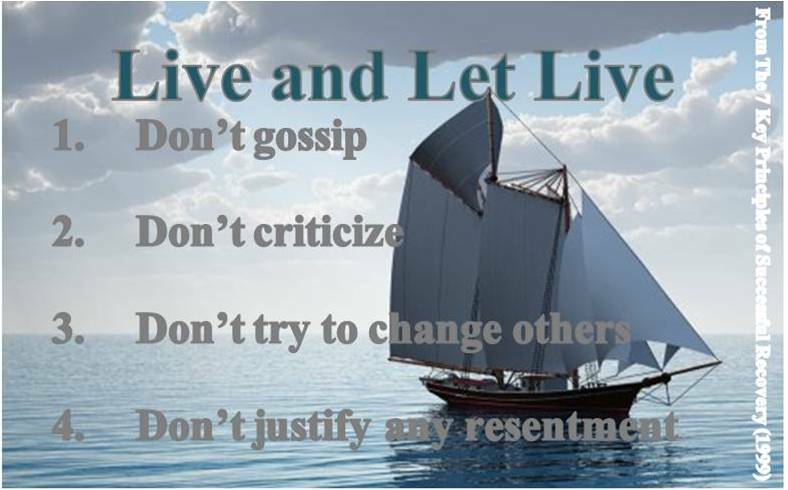 We discussed the AA slogan “Live and Let Live” and how to practice it. This is from the book The 7 Key Principles of Successful Recovery (1999) by Mel B. and Bill P.
Thank you all for sharing this journey with me!